Nabby has introduced an innovative new baby monitor which is developed with expertise from Develco. 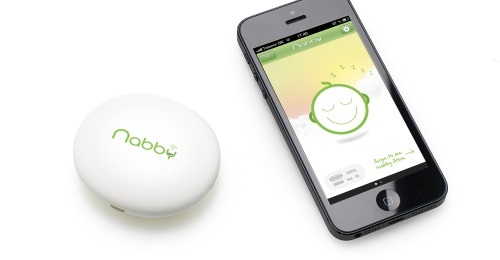 Nabby has introduced an innovative, new baby monitor which is developed with expertise from Develco. It uses Bluetooth communication between the monitor and a smart phone for transmission of alarms, status and audio streaming. Develco has been responsible for the implementation of hardware, software and the plastic cover. A special long distance Bluetooth connection pairs the Nabby monitor with a smartphone or tablet and there is no need to fret about Wi-Fi or Internet connection. Because of the Bluethooth, Nabby’s connection is safe and unique and supports a strong two-way connection between the pair that matters – the child and a smartphone. Most baby monitors have a very high level of radiation, especially video and WI-FI solutions. Nabby is the safest possible product, which means super low radiation. While most other monitors keep a high constant connection, Nabby is intelligently designed to minimalize this with a new world record, which is 0.08mW average radiation.